The Arts & Business Council (A&BC) invites you to an evening of cocktails & conversation with The LinkedIn Professor, Tajuana Ross. Show yourself some love by learning how to create an impressionable LinkedIn profile that stands out! Network with others and get a FREE professional headshot that showcases your personality, builds your personal brand and shows you in your best light! New year, new YOU, new headshots & libations, too! Registration will close at 12:00pm on February 12, but walk-ups at the event will be accepted! Get a discount for this event & lots of other great benefits by joining our Membership Program today! Interested organizations must fill out an arts client On BOARD application – the deadline for which is January 11, 2019. Nonprofit organizations are born from creative ideas and passions for social good. To execute your mission and create real impact, you need to have a business plan. A business plan is your guide to defining your organization’s identity, developing solutions to your problems, and setting and measuring goals. You don’t need an MBA to run a successful organization, but you do need a plan to manage finances, be accountable to your vision, organize your team, and generate revenue and control expenditures to keep your ideas and passions alive. “Building the Nonprofit Business Plan” will help you do just that! Instructor: Irv Michaels, Founder – Michaels Consulting, Ltd.
Click here to read Irv’s bio. Irv Michaels majored in accounting at college where his interest in the arts grew. His first job post-college was at Chess Records, where he worked as an administrator and nascent record producer. This led him to the intersection of traditional and creative businesses. He practiced at a local CPA firm, attaining senior partner status, serving entrepreneurial businesses. 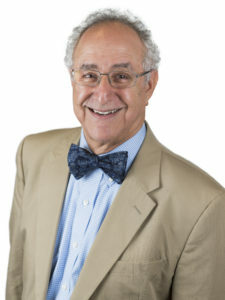 He 1986, Irv founded Michaels Consulting, Ltd., providing financial, business development, technology and human resources advice to graphic design firms, architecture firms and other creative organizations. The firm’s focus is to help creative businesses thrive. Tuesday, March 5 from 9:00 A.M. – 10:00 A.M.
Board Coaching is back! We know that each board of directors is unique; they carry varied skill sets, they have different financial capabilities, and possess rare connections to the communities they live and work in. It’s no surprise that cookie-cutter board composition templates or governance best practices don’t always apply! 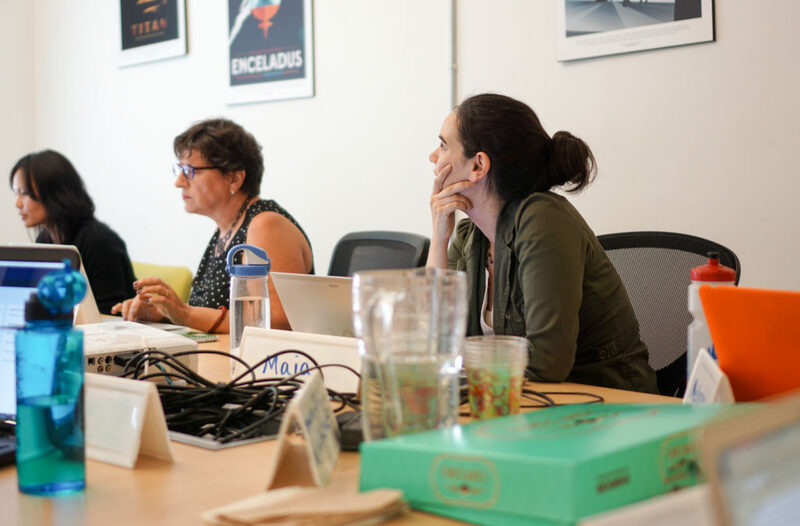 All-star Business Volunteers for the Arts Ashleigh Brookshaw and John Bierbusse will join Breakfast Club to provide focused board coaching and facilitate connections between peers who may be experiencing similar challenges. Tuesday, March 12, 2019, 11:30 a.m. The Arts & Business Council of Chicago (A&BC) invites you to Arts & Business and Capacity: Exemplifying Cultural Equity. The arts sector has a major impact on Chicago’s culture and commerce, supporting thousands of jobs and adding value to our civic lives. But does it truly reflect the people who call our city home? How can we, as individuals and organizations, contribute to Chicago’s vibrancy by lifting up our cultural diversity? Keynote speaker Xavier Ramey, chief executive officer of Justice Informed, joins this year’s luncheon to share why cultural equity should matter to your business, how it benefits the communities we serve, and why Chicago’s success depends on it. Ricardo Gamboa, award-winning artist, activist, and academic, will moderate discussion. Come discover how the fusion of arts, our demographic composition, and economic development all tell a story about the vibrancy and future of Chicago! For more information, email info@artsbiz-chicago.org or call 312-372-1876, ext. 101. Proceeds from this event benefit A&BC’s capacity building efforts throughout Chicago. The Arts & Business Council of Chicago recognizes the generosity and lead sponsorship of Blue Cross-Blue Shield of Illinois, MERGE, Segal Consulting, Aon Hewitt, Goodman Theatre, Willis Towers Watson, Boston Consulting Group, the Joffrey Ballet, and Elkay Manufacturing. 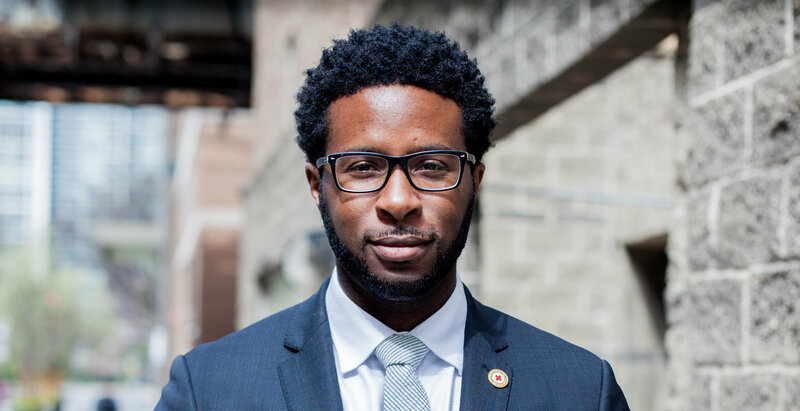 Xavier Ramey is the CEO of Justice Informed, LLC, a social impact consulting firm based in Chicago, IL. He is an award-winning social strategist, noted public speaker, and conflict mediator. Combining his background in economics, extensive management and social impact experience, and direct-action campaigning in the Black Lives Matter movement, Xavier leads a company that brings a wealth of experience and network to clients seeking catalyzed strategies for inclusion, philanthropy, CSR, and community engagement. A native Chicagoan, he is a recognizable voice on the topics of community and economic development, policing and policy violence, and connecting the Christian faith to our lived experience. Xavier served as the lead of the Social Innovation and Philanthropy strategy in the University of Chicago’s Office of Civic Engagement, managed multi-million dollar philanthropic portfolios to stimulate employment, and worked as a nonprofit Director of Development in Chicago’s North Lawndale community. Xavier is a founding member of the #LetUsBreathe Collective, an artist-activist organization committed to addressing State violence against people of color. He is a Board member of Young Chicago Authors, and the newly opened Chicago Center for Arts and Technology. QuickBooks Online gives you many ways to improve your accounting efficiency and choose the processes and reports that are most important to your nonprofit organization. This hands-on Learning Lab will show you tips and shortcuts that’ll help you cut down on time spent working, while maximizing the accuracy of your accounting. And more! This Learning Lab is limited to 10 people. Registration will close once capacity is reached. Attendees must be available for both sessions. Click here to read Yvonne’s bio. Yvonne P. Afable is the Managing Partner of Accounting Services for Afable Consulting LLC, a firm providing accounting and technology support to not-for-profit organizations and small businesses. She earned her Bachelor’s degrees in Accounting & Finance from DePaul University and is a Certified Management Accountant. After starting her career in public accounting, she decided to focus on the nonprofit industry and joined the management staff of American College of Surgeons and Rotary International. For the past 18 years, she’s been consulting with nonprofit organizations and small businesses, helping them understand and tell their financial story. Using Intuit/QuickBooks and Sage products, she and her team offer services to meet each client’s needs: accounting system set-up and training, bookkeeping services including payroll processing, audit preparation, financial reporting and analysis, and documentation of fiscal policies and procedures. Yvonne serves as Treasurer on the board of Kartemquin Educational Films and teaches the Financial Management course at the School of Art Institute and Zumba at LA Fitness, South Loop. She resides in Chicago, with her partner, Jose-Albin D. Afable. They have three children (Nicole, Gabrielle, and Justin) and two dogs (Kona and Kai). For more information, or accessibility accommodations, please contact Noemi Garcia at ngarcia@artsbiz-chicago.org. Application Deadline: Friday, April 12. Apply here.